At our last duty station, in Korea, I traveled over to the “land of morning calm” with nothing except countless boxes of toys and books for our little one. In our year in Korea, I became a homemaking guru (somewhat out of desperation), making decorations from whatever I could find and making mealtime as affordable as I could, yet as special as possible. We had very little but I did everything I could to make a home out of our apartment in a completely different country. Since our fabulous experience in Korea, I have decided I can feel comfortable, regardless of our location, by surrounding myself and my family with things we love and things that speak about who we are. Nothing characterizes my life as an Army wife and stay-at-home mom more than my need (or perhaps obsession) to stay organized and efficient. Even when we were broke or didn’t have access to the luxuries (can we say ?) nothing made me feel more at home than a clean and organized home. There is nothing I hate more than taking time, I should be enjoying with my family when we are all together, to scurry about the house cleaning, organizing or cooking. I want our downtime to be just that: downtime. One of my worst nightmares is being at the grocery store with my toddler squealing in the cart, rushing through the isles sans grocery list, struggling to think of meals I could prepare for dinner this week. I may be a newer Army wife but one of my money and time-saving graces is Meal Planning. Once a week I sit down during nap time, bedtime, anytime and flip through cookbooks or scour my favorite websites, searching for fun, healthy, economical and quick meals. I make sure I know what’s already in the cupboards and fridge and search for things to compliment the groceries I need to use up while making sure we stay away from the dreaded dinner ruts. My stylish solution to the boring white-board hanging on the kitchen wall, where I write down the meals I plan on making for the week, is a much more exciting dry-erase board that happens to match my household decor. You may have seen versions of it elsewhere. This is my version and I love how it turned out. I started out with a picture frame I found on sale at (for about $10), some scrapbooking paper I had on hand and adhesive (the tape kind that you can find at the craft store). 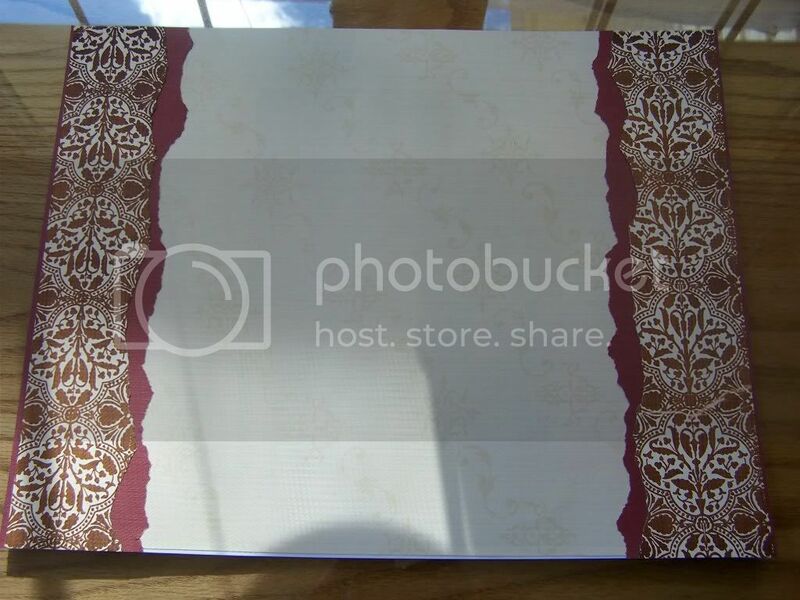 I ripped the edges of two different kinds of scrapbooking paper that I thought would match the colors/style of our home and used them to border a lighter colored paper in the center. It helps to use a lighter colored paper for the majority of where you will be writing so the marker can be seen easily. I gathered clear, flat glass marbles from the craft store and used a punch to make a circle which would fit beneath the glass and added a letter coinciding with the days of the week before adhering the circle to the bottom of the glass marble. On the underside of the glass marble (now with a paper circle glued to the bottom) I added a small magnet (also found at the craft store). When I inserted my finished background (see above) into the frame, I also slipped a thin piece of metal in between the background I created and the cardboard on the back of the frame. The finished product? Tada: a fab new way to keep track of dinner menus for the week (or anything else that needs to be written down for that matter)! The whole project cost me about $18 (frame included). I am on the brink of a big PCS but I cannot wait to hang my new dry erase board in our new place. Now, go get your creative juices flowin’ and give meal planning a little pizazz! Ok, I LOVE this. I need something to keep track of our schedules, and put a large dry erase board in the kitchen. Since the kitchen is kind of the heart of the house I hated seeing it there so I moved it to my bedroom… where I NEVER look at it. I wouldn’t mind hanging this where everyone can see. Great idea. Cute! 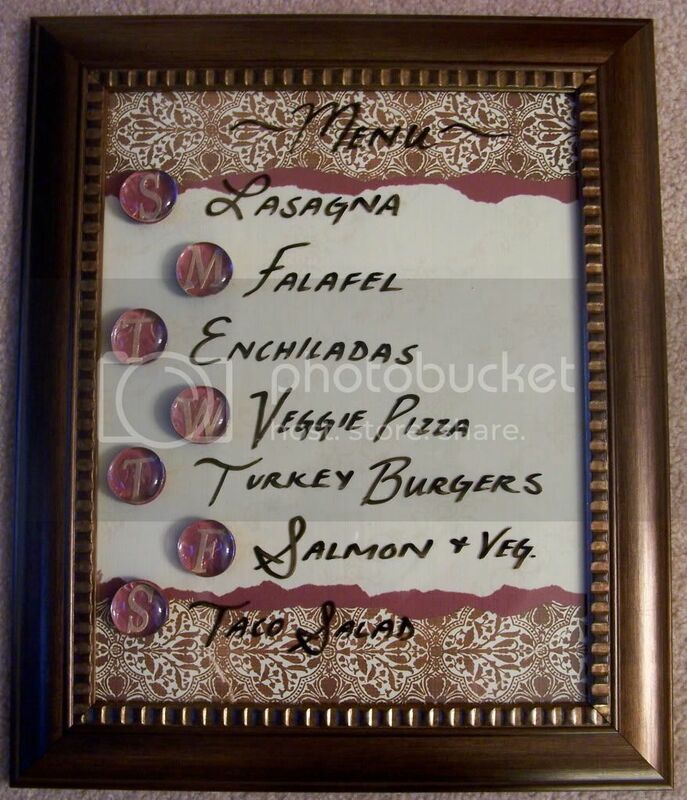 Do you just use a dry erase marker on the glass & wipe it off each week? I do pretty much the same thing as far as meal planning, but not nearly as neatly. It’s usually just on my computer LOL. The dry-erase marker does completely wipe off the glass. And at least this way, I can totally match our decor while still making sure I can write down the things I want to keep in mind throughout the week. I have even seen this same idea for other things like calendars (you just make a grid behind the glass) and to-do lists. Sorry for the late response, ladies, I was en route to our new station. Thanks for a great idea, I love the creative way that you’ve used this idea. 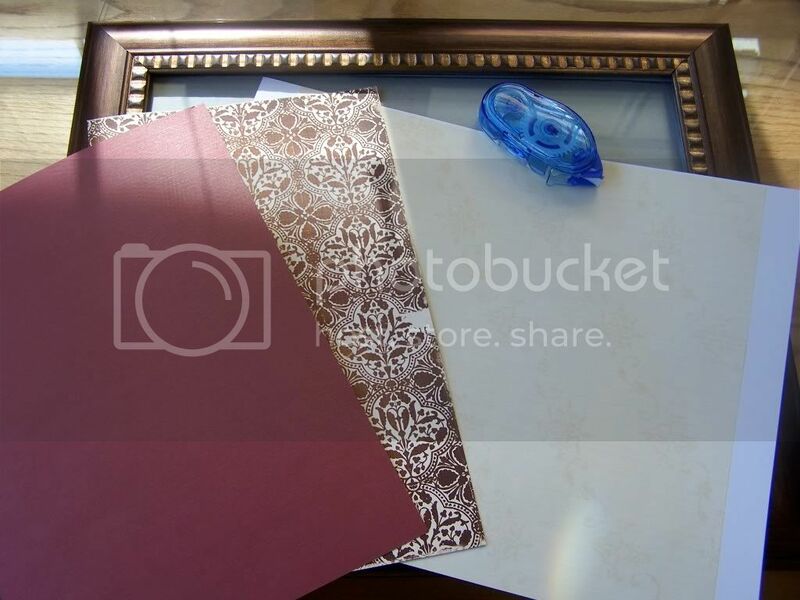 I’m off to overhaul some old picture frames and turn them into lovely looking dry erase boards as Christmas presents. Just curious what kind of metal you slipped behind the glass…and where did you get it? Very creative and pleasant to look at. Thanks for sharing a great idea. I’ve got a mountain of frames in the garage. I will be looking at them with a new eye going forward! 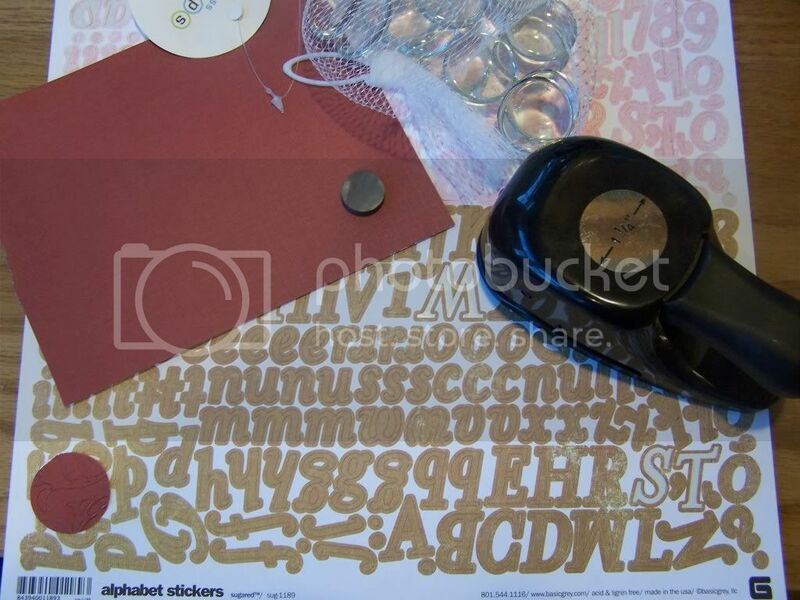 I have a question about the glass marbles with letters and magnets… are the magnets on the surface of the glass and (same as Julie above) what kind of metal sheet did you use? I’m assuming that it is the metal sheet that holds the marble/magnets onto the glass? Before signing off, please accept a heart felt THANK YOU to you, your husband and your family for your service to our country. I sincerely appreciate it.